University Of KwaZulu-Natal Press, 9781869140021, 72pp. Have You Seen Zandile? is a wonderful South African resource, still as fresh and absorbing as when it was first written. Perfectly scripted, and with Gcina Mhlophe's sure instinct for stagecraft, it recounts the very personal story of Zandile, who is snatched away from her grandmother's loving care and taken to live with her matriarchal family in rural Transkei. 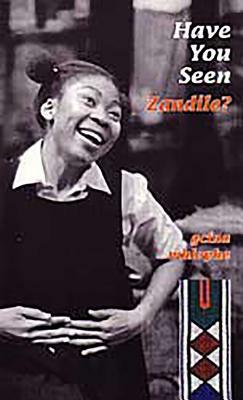 Moving, funny and convincing, full of Zandile's shrewd, youthful insights, the play offers an illuminating window into the 1960s world that it depicts, with its issues of white dominance, rural hardship and black female repression. Have You Seen Zandile? is already an established favorite in performance circles, and is fast becoming a South African classic.